Warning website in progress many broken links ahead! EVERYTHING YOU EVER WANTED TO KNOW ABOUT SHERRY'S FAMILY- and then some. Crotser/Crotzer/Krotser/Krotzer Researchers- others who are researching this surname, and their e-mail address. Pictures- yup, those Crotsers again. 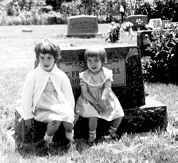 sitting on their great grandmother's grave. EVEN NEWER AND MORE IMPROVED GRAVESTONE SECTION!! My hundreds of gravestone images are now being posted at "Find-A-Grave". Here's how to find out if I have a pic of a gravestone you are searching for. 1. Click on "Gravestone Index" below.  This will take you to a list of the individual stone images that I have. Adding my entries to "Find-A-Grave.com" is an on-going process. It's going to take quite awhile before I get them all posted. If I have a grave listed below that you need, send me an e-mail, and I will get the image posted as soon as I can. 2. Follow this link to my page at "Find-A-Grave"..The stones are in alphabetical order, so it should be easy for you to find the ones you want. Married women are listed under their married surname. Enjoy!!! Below is a list of the cemeteries from which I have gathered some of my stone pictures. This list may be of help, too. Special thanks to Don Markwell for the addition of the Markwell photos at Greenup Cemetery; Greenup; Cumberland County; Illinois and Fox Creek Cemetery; Fleming County; Kentucky. THANKS, DON! DISCLAIMER: If there is a newer gravestone in one of the albums that you do NOT want to be available to the Internet public, please just send me a NICE e-mail, and I will remove it immediately- no questions asked. I am only trying to help other researchers who are unable to get to these cemeteries. I don't want to violate anyone's privacy. Thanks. OLD DOCUMENTS- wills, indentures, family notes, etc. Hopper- Hotz connection- homepage of Barbara Turner. Thanks, Barb!